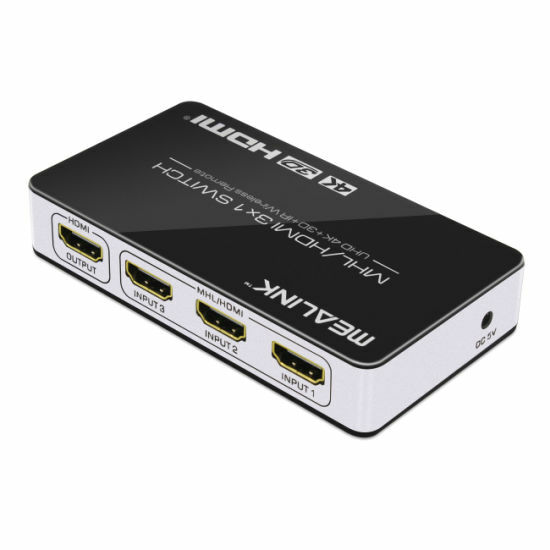 HDMI Switch, 4K HDMI Switch, 3X1 Switch manufacturer / supplier in China, offering 3X1 Mhl/HDMI Switch 3 in 1 out (support 3D, 1080P, EDID, and 4K, IR wireless), Bluetooth 5.0 Wireless Earbuds with Auto-Charging Box, Mini VGA to HDMI Upscaler 1080P and so on. more productive and more cost-efficient. single HDMI sink.The switch supports 3 MHL / HDMI port operates in dual mode. 1. Supports 3 MHL/HDMI input ports with dual mode capability. 2. Supports 1 HDMI output port. 3. Compliant with MHL2.0 and HDMI 1.4b specification. 4. Supports deep color 30bit, 36bit. 8. Supports Equalizer TMDS Output:25MHz - 297MHz TMDS clock. 9. 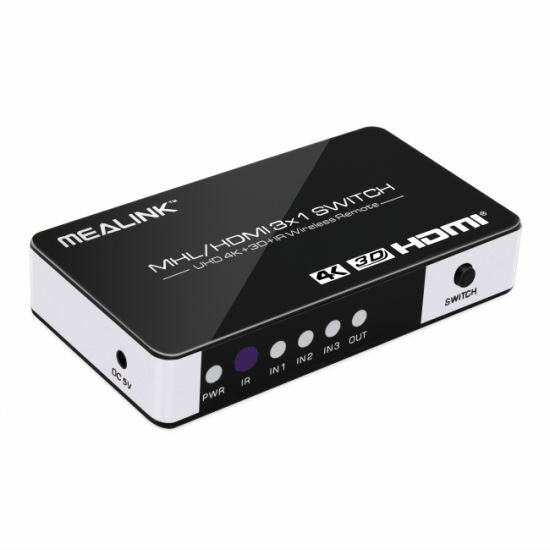 Supports up to 297 MHz TMDS clock rate(4Kx2K) for HDMI input. length, output up to 20 metres AWG26 cable length. 13. No loss of quality.